When in doubt, spray paint. Everyone looked at me a little strange when I wanted these lamps. I had always loved them, though. The center portion twisted to turn the lamp on. Aside from that, they had been my great grandmother’s, so that made them even more amazing in my book. 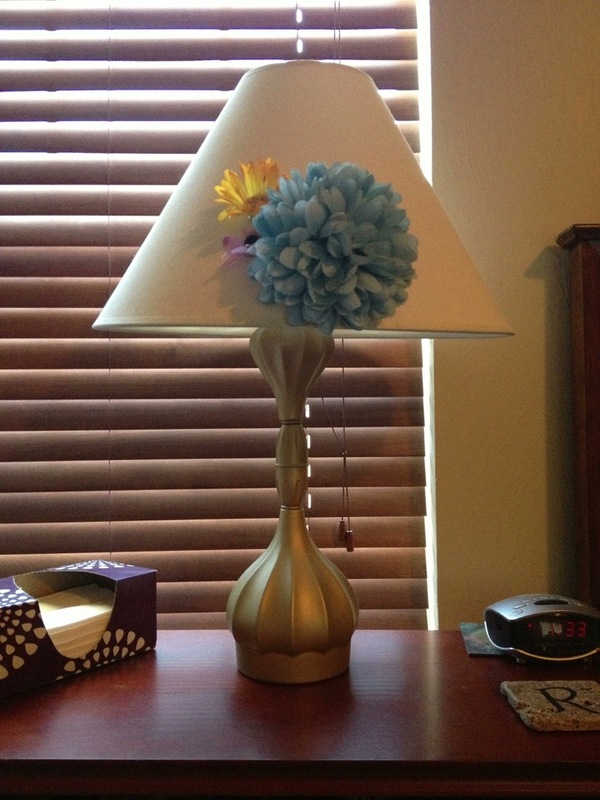 I also bought a new lampshade and hot glued a flower to it. Honestly, I’m still trying to decide about the flower. Regardless, a can of spray paint made a huge difference with this lamp!